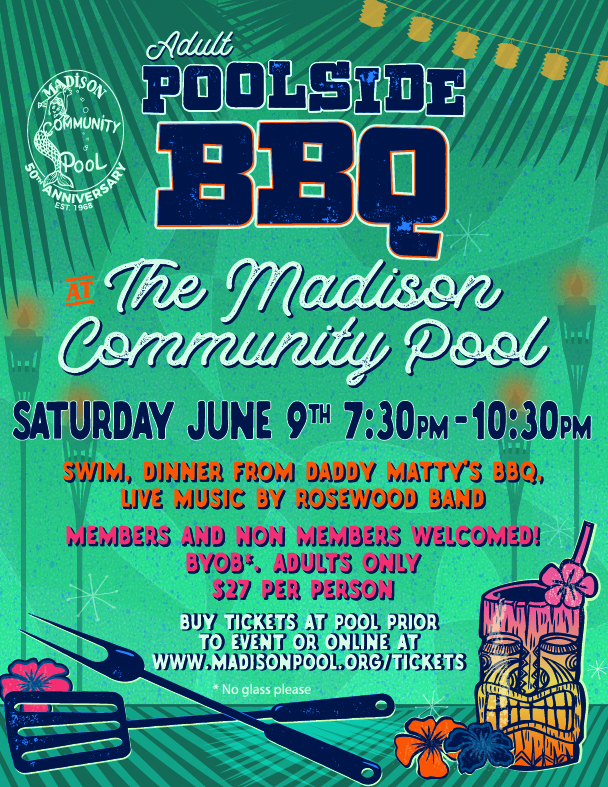 The community pool needed help advertising new facility improvements, increasing their membership, and promoting special events tied to their 50th anniversary celebration . For their adult BBQ, I created yard signs that were posted throughout town in prominent locations, a banner for the front lawn, and various social media posts and flyers to publicize the event. I used a uniform color palette for all of the pool's materials for the season to create a cohesive look. I used a retro look to tie into the decades idea of their anniversary celebrations.